The electoral circus has begun in Quebec. 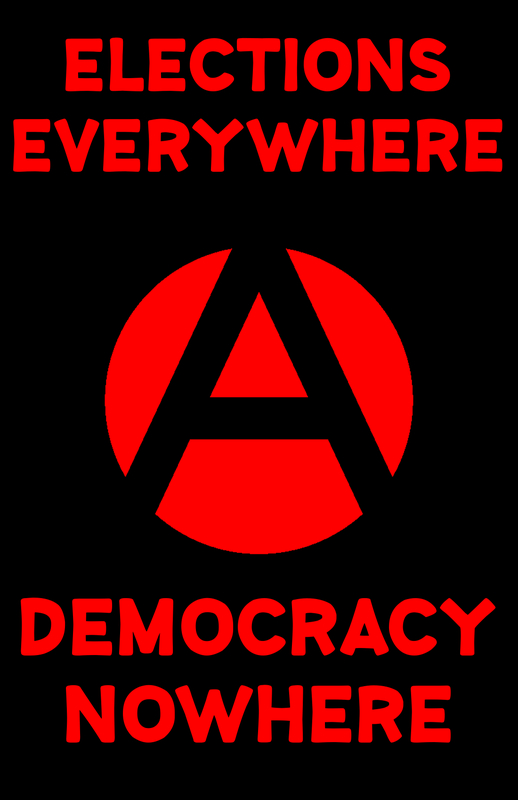 Originally published by Collectif d’éducation et de diffusion anarcho-syndicaliste | Anarcho-syndicalist collective for education and diffusion (CEDAS-ASCED). As anarcho-syndicalists, we believe necessary to promote a systematic abstaining stance. This is why we share here two posters as an answer to statist propaganda and electoralist brainwashing. The fact that we don’t vote is the logical result of our revolutionary project. It’s delusional to think that our emancipation will come from parliament. We’ll only be able to realize anarchist communism (only economical and political system that insures our individual and collective emancipation) by organising our struggles in a horizontal, egalitarian fashion… and far away from political parties. For us, « leftist » parties place social movement’s and well intentioned activists’ energy in an electoralist dead end that offers only disappointment, treason, instrumentalisation, manipulation, lies, illusions, etc. While the electoral machine of the « leftist » parties are being built, minds and thoughts of social movement activist are pushed toward statist alienation and electoral wait-and-see attitude. If there is no capitalism with a human face and if the state is the wheel of our exploitation, then we’ll have to abolish both to be free. In the end, we stay convinced that we have nothing to expect from the state, it doesn’t matter who’s in power. Both « right » and « left » parties reproduce and support state and capitalism that lean on oppressions and systematic exploitation. Elections contribute to the alienation of our lives. Next post: #Hambacher Forest: Day X has come – #EndeGelaende calls for civil disobedience: #HambiBleibt!